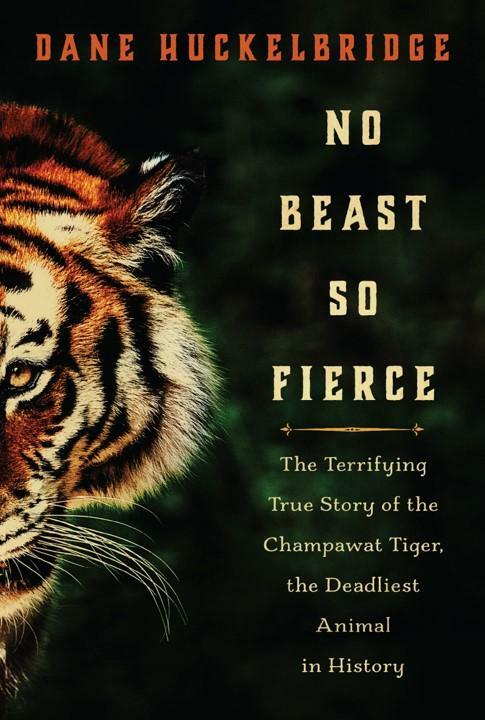 No Beast So Fierce - Dane Huckelbridge — Karn Couzens & Associates, Inc.
A historical study of the world’s greatest serial killer, the Tiger of Champawat, who stalked Nepal and India in years around 1907 and killed approximately 436 people as the greatest man eater of all time. That’s the tag line to grab the reader, but the book is really about how colonialism and deforestation drove this tiger and other animals to attack humans as their natural prey had been reduced or eliminated due to the encroachment of mankind. This particular animal had been shot in the face by a hunter as a young tiger, losing part of her teeth, so as it was now harder to bring down her usual prey, she found humans to be easier. She was finally hunted down by an Irish tracker, Jim Corbett, who in later life became an ardent conservationist and wildlife advocate. **The views expressed in the recommended publications are not necessarily the opinion of Royal Alliance Associates, Inc., and should not be construed directly or indirectly, as an offer to buy or sell any securities mentioned herein. We make no representation as to the completeness or accuracy of information provided in these publications. Nor is the company liable for any direct or indirect, information and programs made available in reading this literature. When you consider reading any of these recommended publications, you assume total responsibility and risk. These professionals are not affiliated nor endorsed by Royal Alliance Associates, Inc. The information that may be provided is not intended to be a substitute for specific individualized tax, legal, or estate planning advice.